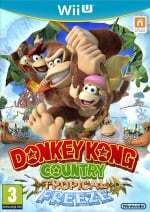 With Donkey Kong Country: Tropical Freeze now so close that we can smell the bananas, Nintendo's YouTube show 'Nintendo Minute' has naturally pitched in to show a little more of the game in action, with the co-hosts each picking a favourite level. First up is world 3-3 (Frantic Fields) which includes some heroic charging with Rambi and an ongoing storm that includes twisters and bolts of lightening. The second level shown focuses on one of many swimming stages, world 4-3 (Amiss Abyss); it's a fairly lengthy stage that tests a player's grasp of the underwater mechanics. Both tricky levels, and the hosts also chat a bit about the game as they play. Check it out below, assuming you're happy to see these levels in action; are you picking this up on Friday? We certainly think you should, giving it 9/10 in our review. Seems like some great levels to release as a demo. And NSMBU had a 2 level in store demo around the time of its release so its not completly without precedent. Can't imagine a demo hurting the Japan sales any. They should have played together. I miss Alison and Gary from Nintendo week... and Dark Gary, bro! Tempted to watch... Idk all the doom from this game brings me down, like the sales... Did people really think this would boost Wii U sales, all systems sales went down and that is ignored. Anyways, I will play this game non-stop on day one. That was fun to watch, it's getting me excited for Friday. This is the first time in a long time I have been eagerly awaiting a game. I am just so afraid of spoiling too many levels, so I think after this, I am done, I don't want to see ANYMORE levels! @tripunktoj - I miss them, but also the Nintendo Channel as a whole. I miss keeping track of how many hours I played each game, and it was someplace to advertise Wii U games to Wii owners. I can see shutting down the news and weather channels, but not a channel with their name on it. Maybe it was a portents of things to come. I also miss the 2 guys on the couch, but not as much. @shigulicious this seems more of an American/European/Australian title to me. Japanese gamers must still be enjoying Monster Hunter 5 on their 3DS consoles. Hype level has officially reached warp speed!!! 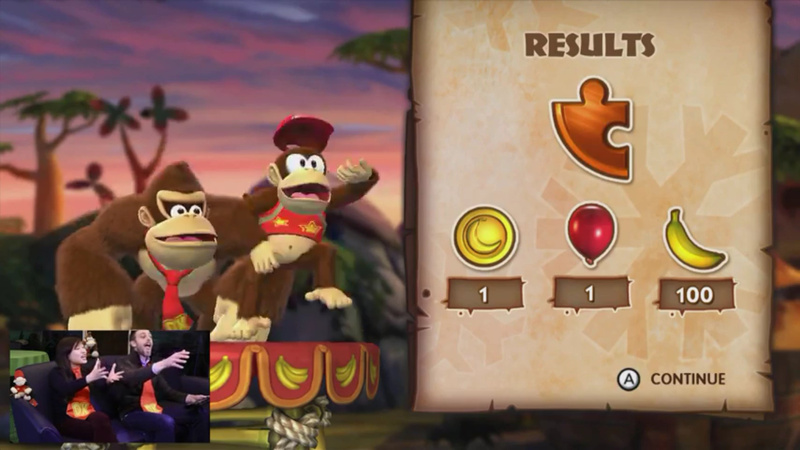 After spending over 25hours on Mario 3d world and over 25 on Rayman Legends.. its now time for Donkey Kong. Tomorow is just too far away !!! These two levels look really nice. I am with you there. That is why I like how the Wii U and the 3DS have the activity log in the system itself. No need to go online and you do not lose the info when the server goes down. In fact, that functionality was limited near the end, as the later games I played on Wii did not even register when the channel was up. @sinalefa - "Wii U and the 3DS have the activity log in the system"
I know most people probably don't use the logs, but I really wish my PS3 had something similar. I think my kids have been playing Minecraft way too much this week but I don't have an easy way to show them. I gave my old Wii to my kids when we got the Wii U - we can't always agree and not all games are multiplayer - and the Nintendo Channel no longer exists. I am glad the eShop has video links, and I think the eShop is much better than the 2 separate Wii channels, but I do wish Nintendo Channel was still functional on the old Wii. Love Nintendo Minute. That looks so much fun, especially the level Krista was playing (the music was awesome!). I can't wait to pickup my copy of the game tomorrow!!! "I think my kids have been playing Minecraft way too much this week but I don't have an easy way to show them." I guess that is the reason why Nintendo consoles have that feature. I love it as I can see how much time I have sunk into each game, sometimes making me feel that I got bang for my buck. Other times I am surprised that I have logged in so many hours. Only a few PS3 games have that in the game themselves. I too wish it was a universal thing, like trophies. It could also give you bragging rights. Well this pushed me over the edge and DK was downloading as I left for work this morning. I note that unlike previous releases I was able to not only get the game from the shop before midday, but GAME also had the download codes available so I could enjoy the £7 discount which made the purchase even easier to justify. I honestly don't know how people can moan about software prices when I'm paying less than I would have for a new 1st-party Wii release five years ago.